In the heart of a village located on the outskirts of Meerut stands a forlorn two-storey building with a picture of Dr BR Ambedkar. The complex is deserted. One has to wade through broken bricks that lay scattered on the ground floor, before heading up the stony staircase that has no railing. It is a library for which the Dalit residents of the village had pooled together money and then constructed. On a sweltering April afternoon, two boys are busy studying in the library in the midst of empty chairs. 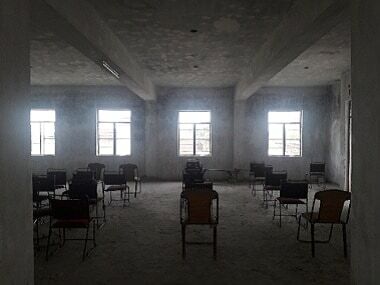 Jogendra Kumar, in charge of the library, says over 200 students used to frequent the premise. "Hardly 35 are left now," he adds, "The rest have left one after another following 2 April, 2018." Ravinder Singh, 23, is one of the few students who stayed back. "We are studying hard to land a government job," he says, "We have to kiss our dream goodbye if there is an FIR registered against us. Who would take the risk?" The village in question is Shobhapur of Meerut district in the western region of Uttar Pradesh. The village is predominantly Dalit, with Gurjars and Brahmins making up the rest. On 2 April last year, residents had poured on to the Delhi-Dehradun highway running perpendicular to the village to protest the dilution of the SC/ST Act. Similar agitations had been held across the country. But the demonstration at Shobhapur took a violent turn. Superintendent of Police (Crime) BP Ashok, who was put in charge of the case two months after the incident, says the riots erupted because of inflammatory posts on social media. "(The riots) did not have a leader," he says, "Social media triggered the unrest." Ravinder had also participated in the rally. "There were 300 or 400 of us protesting peacefully," he says, "But the police lathi-charged us. And then all hell broke lose." The riots resulted in severe damage of public property, a police post being set on fire and the death of a young Dalit boy — Ankur Jatav, aged 25. The same evening, a list went viral on WhatsApp. It carried the names of 83 Dalit residents of Shobhapur, implying they were responsible for the violence. The first name on the list was of Gopi Pariya, a 28-year old boy. On the very next day, he was shot dead. It sent shivers down the spine of the others that found themselves on the list. Ravinder was one of them. "I fled the village, and was on the move for 20 days," he recollects, "I did not spend more than a day at one place. I was scared. I could not think straight. The atmosphere in the village was horrifying." An eerie silence still prevails over Shobhapur, evident during a recent visit. The people in the village look over their shoulders when they walk around. After Gopi's murder, another list hit WhatsApp groups. This time, it comprised names belonging to the Gurjar residents of Shobhapur. 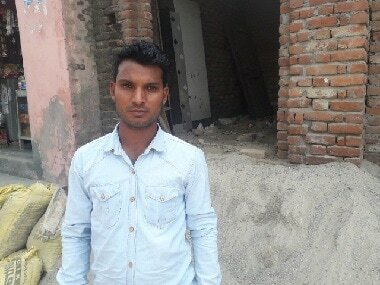 In December 2018, Ashish Gurjar, one of the people reportedly identified as being behind Gopi's death, was shot dead in the village. The police has arrested Gopi's father and brother for the murder. Four months later, in March 2019, another boy was murdered. His name was Monu Gurjar, and the police has arrested four people in connection with that murder. So far, Ashok says, over 200 FIRs have been filed. In about 30 of them, the police have filed charges. In 34 FIRs, they have filed a closure report. Ravinder, who is about to conclude his BEd degree, is back in the village because his parents are old, and he has to look after them. "The rest will never come back," he says, "Nobody knows how long this war between two communities will continue. In any case, it is difficult to get a job these days. If we happen to find ourselves in the middle of this fight, a government job is out of the question. And even private employers prefer to stay away from those with controversial past." Residents of the village say they wonder who will be the next to have an FIR filed against her/him. 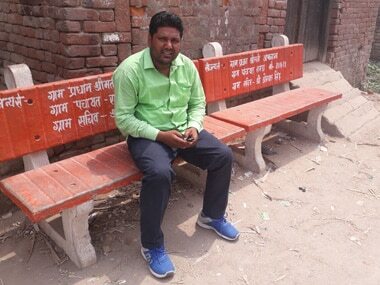 Manohar Singh, 45, sitting across the road from Gopi's home, says he has sent his 17-year old son to Delhi a month back. 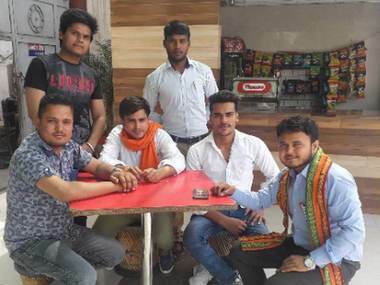 "We were waiting for him to finish his Class 12 exams," he says, "He has not decided what he wants to do but we have told him to settle down away from Meerut. What if we get embroiled in the matter?" Manohar says the entire money he spent on his son's education will go down the drain if he stays here. "I want him to get a job, and settle down," he says, "Not live amidst caste tensions where he cannot concentrate on his career." Apart from students, several workers or those who were self-employed have found it difficult to go about their work after 2 April last year. Labourers say it is difficult to find work while being on the move. They complain that no political party has bothered to pacify the situation, and they are most upset with the Bahujan Samaj Party. Rajiv Kumar Rana, who owns a gym in Shobhapur that goes by the name Lord Buddha Fitness Point, says in a telephonic interview that 124 boys have enrolled at the gym but only eight to 10 come and train now. Rajiv had to be contacted by phone because he was away in Bulandshahr — 70 kilometres from Meerut. 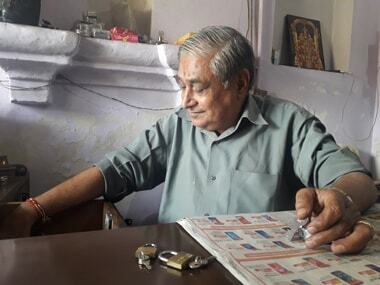 His father, Ram Kisan Rana, 79, says he is busy figuring out if he can get his kids admitted in a school in Bulandshahr. "His wife is a teacher at a school over there," he says, "Rajiv plans to shut the gym and relocate. The gym will not work with people leaving. He will figure out what to do once he relocates. There is no future in this village." Gopi Pariya also owned a factory where they made badminton racquets. With Gopi being dead, and his father and brother in jail, the factory is shut. They hired five to seven labourers in a full-time capacity, along with families in Shobhapur that would help package the racquets. Kusum, 35, was one of them. As a result of the caste conflict that led to the shutdown of the factory, she now has to look for work elsewhere, which is irregular and unreliable. The racquets need to be packaged. We sew the net, tape the handle and then it is ready to be sold. How much money did you get for that? I made Rs 5 for every dozen racquets. We packaged around 200 a day. I used to work with other suppliers, but since he (Gopi) was from the same village, I thought it would be better to work with him. I work with others who make badminton racquets. 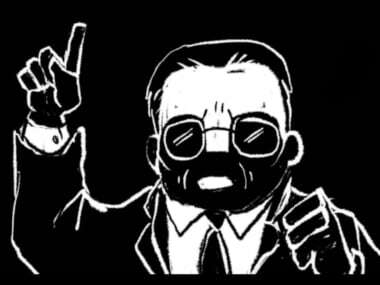 But it is irregular work. My 18-year old daughter also helped me. She also made some money by the side. She does not do anything now.